One of my favorite show on television is the erudite, evocative, mouth-watering, multi-dimensional Emmy-award winning CNN series, Parts Unknown, hosted by Anthony Bourdain. Tonight, the series begins it's second season of focusing on Shanghai, a place that I long to visit because of the staggering amount of very tall skyscrapers. This show is about food, but it transform each week to an amazing educational and informative sociology and anthropological documentary on cultures throughout the world. Watch CNN trailer here for the Shanghai trailer: click here. It's difficult to watch the show because makes my mouth water. And it makes me fill smarter for having watched it. I am so amazed at the ability of a show which is essentially for "foodies" that is so talented it transcends to a remarkable social commentary and travelogue. 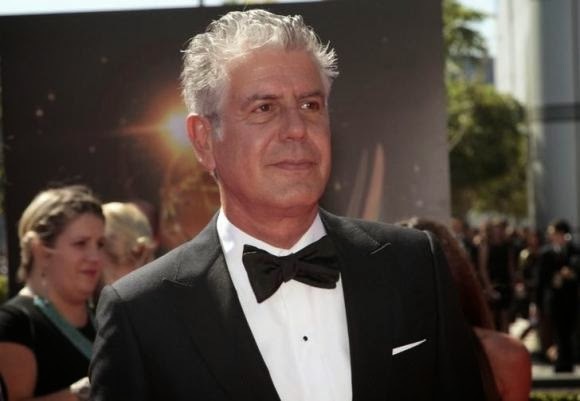 Chef and television personality Anthony Bourdain arrives at the 65th Primetime Creative Arts Emmy Awards in Los Angeles, California September 15, 2013. Shanghai and Dubai are really becoming the most interesting cities in the world, architecturally and in other ways. See more of my previous blog entries on Shanghai and Dubai by clicking here. 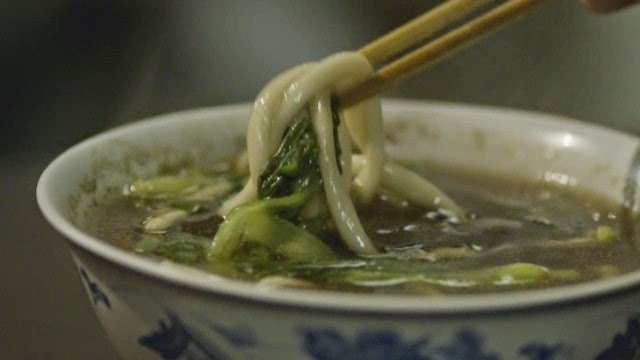 The Tokyo episode is one of the most brilliantly shot and edited episodes of Parts Unknown.